The team at Commercial Laundries in Orlando understands the level of service you can provide to your customers is dependent on how well we can serve you. Our mission is to always offer the highest level of customer service & quality products to all of our customers. Commercial Laundries strives to build solid, long-term relationships. In order to make our company the best it can be, we continually invest in our staff. We provide them with ongoing training and certification opportunities. And we also strive to provide consistent, dependable and top-tier customer service to each client. Our goal is to make every interaction and transaction stress-free and pleasant. In addition to excellent customer service, our Commercial Laundries Orlando team understands the importance of offering quality products that live up to their name. To accomplish this, we only stock commercial washers and dryer solutions from the most regarded names in the business. An abundance of makes & models fill our 15,000 square feet warehouse, in addition to a variety of parts & components. Our corporate office includes satellite teams that work with clients from every region in Florida. We currently service over 1,000 property types. By improving and solidifying client relationships, we believe we are building a better and stronger tomorrow. Speak with one of our account representatives today. Learn more about the services you can receive at Commercial Laundries in Orlando or the surrounding regions. Our top priority is your complete satisfaction. We pride ourselves on our reputation for delivering top-notch customer service. Our goal is to truly understand your needs and goals and then exceed those expectations. We began Commercial Laundries in 1972 with a customer-centric approach. This same approach is still our main priority decades later. Commercial Laundries in Orlando provides service to Orlando and surrounding neighborhoods and cities. Ask a Commercial Laundries Orlando representative about receiving your complimentary Utility Assessment Report. 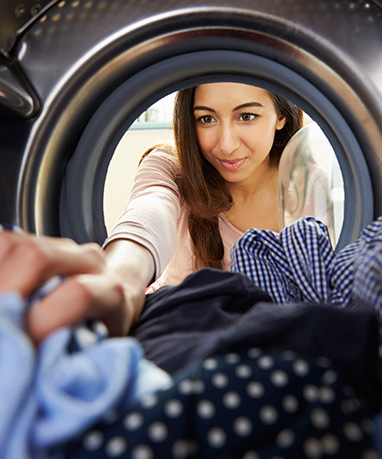 By analyzing your current laundry room operation, our team can measure its effectiveness, and offer tips on how to increase efficiency and increase your profit while saving energy. At Commercial Laundries in Orlando, you will always interact with professionally-trained and insured technicians and mechanics. Therefore, they are ready and waiting to assist you. Because commercial laundry technology rapidly changes, we have committed to keeping our technician team up-to-date through continuing education classes and hands-on training courses in order to offer you the best service possible. Are you in need of commercial washer or dryer parts and components? If so, inquire about our fully stocked 15,000 square foot warehouse. It is comprised of laundry equipment and specific parts not easily found elsewhere. Our account representatives will help you locate what you need and ship it to your location anywhere throughout Orlando area.